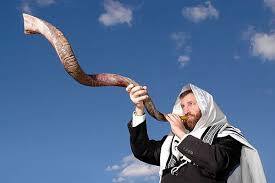 Yom Kippur, the day of atonement, begins this evening. We are supposed to humble ourselves before God, ask forgiveness for the wrongs we’ve committed, forgiveness for the community, and ask for help to do a better job in the coming year. We spend hours depriving ourselves of food and drink to “afflict” ourselves, but I believe also to better concentrate on the things that motivate us other than hunger and thirst. If you don’t believe in God, this can seem pointless–humble myself before what, now? My twelve-year-old thinks all the God stuff is too much. I know what she means. But I don’t want her to think she can stay home from shul; I want her to find meaning there. I go for a couple of reasons–I like my background and traditions, and that means attending services. But I also need to spend time reflecting on who I am, who I have been, who I might become. I want to think about how I have treated people, how I have reacted to local and world events, what assumptions I make and have made. I am not worried about God. I am worried about the ways I affect other people. Some years ago, I had a falling out with a friend. I’m not sure exactly what happened, but we got angry and then she refused to have anything to do with me. I tried communicating with her. Nothing worked. As the high holidays rolled around, I thought I’d try one last time. I wrote her a letter explaining that at this time of year I try to make right what I have done wrong and why. I asked for her forgiveness. She did not respond. I heard later that she felt I wrote the letter because my rabbi told me to. Huh? I have never been able to repair the damage, and this weighs on me today–maybe not as much as it did in 2011–but I still think about what went wrong, and what I did that so angered and hurt her. I certainly loved her, and she had become like a member of my family. My children missed her for a while. I don’t want to be the woman who hurt her friend. I do not accept all the blame, by any means. I think my friend had difficulties forming close relationships; she spent time making herself unapproachable and unattractive, closed off from the world. And so I think about how I might be a better friend, a more sensitive and careful person. Not everyone can handle my usual mode of operations. Another thing that haunts me is a story that has been in the news. When Hannah Graham went missing from UVA, it was big news. She is white, and that always gets attention. Around the same time, two African American women went missing (and were subsequently found murdered), and I never saw it in the news. So I understand the frustration about how law enforcement and media pay so much less attention to non-white victims. I am not surprised if a community rises up in protest against the murder of a young black man, nor am I shocked when reporters try to bring up his record or history, allowing white viewers to feel less bad about the death. So when the investigation into Graham’s disappearance began with a white guy telling police he saw her with a black guy, I was suspicious. Then they found out who this man with the dreads was, and his picture was everywhere. His face is doughy, child-like, soft. He looks harmless, however large he is. So there really was a black guy, I thought. I felt relief that the other man had not been making it up, playing on the racism he knew he could use. And I began to accept Matthew’s guilt, even though I knew the police were not sure he was their man. Then I had to ask myself a hard question–was I assuming his guilt because he’s African American? His family and friends describe Matthew as a “gentle giant,” a sweet guy who wouldn’t hurt anyone. They don’t believe he’s done anything. And I wondered, are there African American people watching this story unfold and assuming his guilt the way I am, or are they legitimately suspicious of the process? The evidence has been piling up against him; there’s a string of missing women and assaulted women in his wake, so it’s not looking good, unusual though a black serial killer is. But this is another part of me I must confront and examine this Yom Kippur; whether Matthew is guilty or not, what am I guilty of? We’ve been talking to our daughter about the choices she makes, trying to show her how to accept responsibility for what she does and the consequences. She’s only twelve, so it isn’t easy. But things seem to be falling apart around her, and I’m not sure how to help. I see her losing her grip on her schoolwork, being distracted by boy bands, anime, and fan fiction. I see her refusing to study for her bat mitzvah, viewing my attempts to help her as punishments, thinking of herself in increasingly negative terms. Going to shul also came up in this conversation; that’s when she told us she wasn’t so interested in God. I tried to impress upon her that it’s a good time to think about herself, to imagine how she wants things to go and how she might make sure they do go that way. She’s only twelve, so it isn’t easy. And I wonder, is any of this my fault? Have I made her feel bad about herself? Have I not supported her in the way she needs? What happened during my pregnancies to give me one child with epilepsy and another with autism? I push those last thoughts away, though, because they’re useless. I can’t change anything there. And maybe that’s what is inspiring about Yom Kippur, God or no God. It allows me to look forward rather than back. Sure, I think about what I may have done wrong, but the past is in the past. There are lots of things I can’t change. But I can do some good–for people I know, for people I don’t. It is what I’ll do tomorrow that matters now.